Let’s all just take a moment to celebrate a few things: it’s been a fun winter, we’re starting to see glimpses of spring, the sun is shining and I’ve spent the entire week in one place: Missoula, Montana. 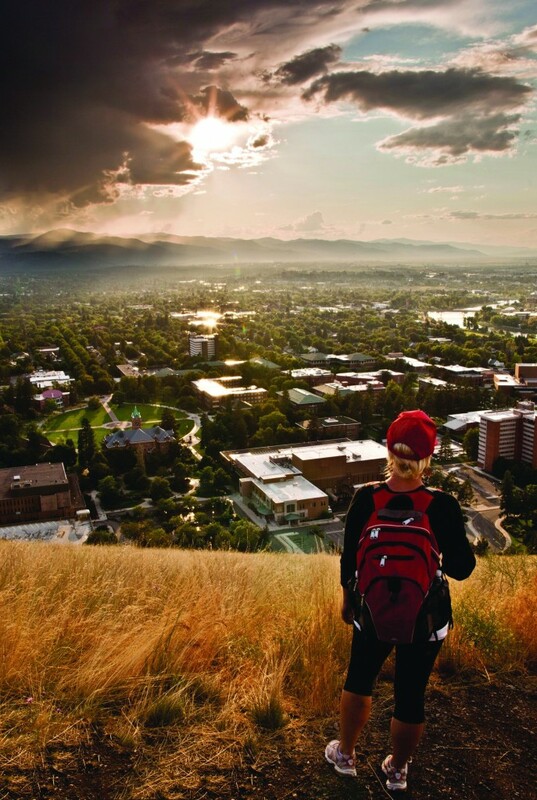 The view of Missoula from Mount Sentinel. This morning, as I was trying to fix my (always messy) hair, I was thinking about all of the things I love and have to be grateful for. And while there is so much that makes my life happy, these are the 5 things I’m currently obsessed with here in Montana’s Garden City. 1. Baba’s burgers. Still a bit of an unknown in Missoula, Baba’s is my favorite place to get a burger. 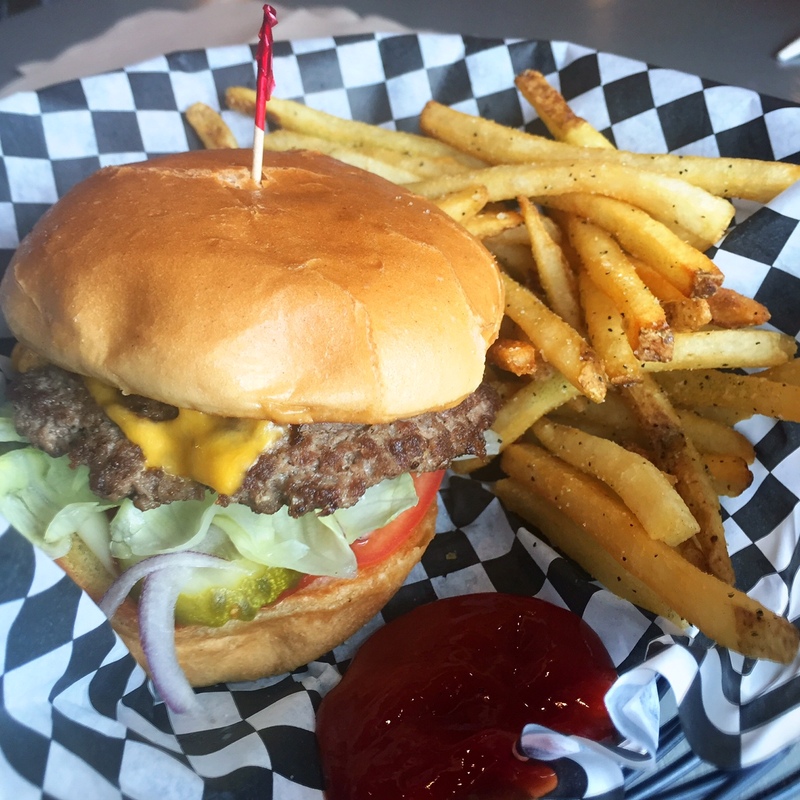 It’s nothing fancy (but totally cute) and is located a bit off the beaten path on East Broadway (744 E. Broadway to be exact), but they seriously serve up some of the tastiest burgers I’ve ever had. I’ve never been a huge burger girl and now, after eating Baba’s, I’m firmly in the burger-lover’s camp. Well done, Baba’s. Well done. Sidenote: in addition to beef burgers, they have elk and bison burgers PLUS super tasty greek garlic fries. My order: a regular cheeseburger, fully loaded, with a small order of greek garlic fries. YUM. 2. Sora & Company. 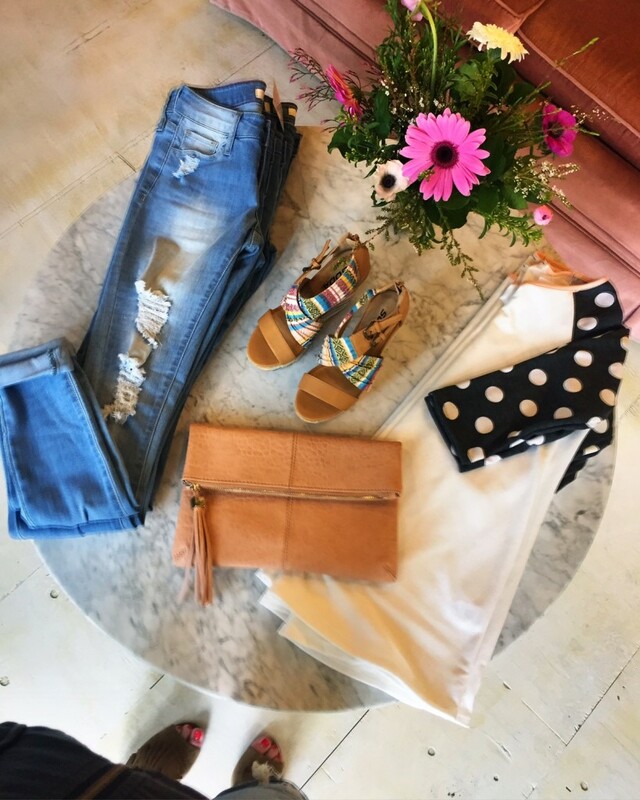 For those of you who know me (in real life or from reading the blog), you know that I love to shop. 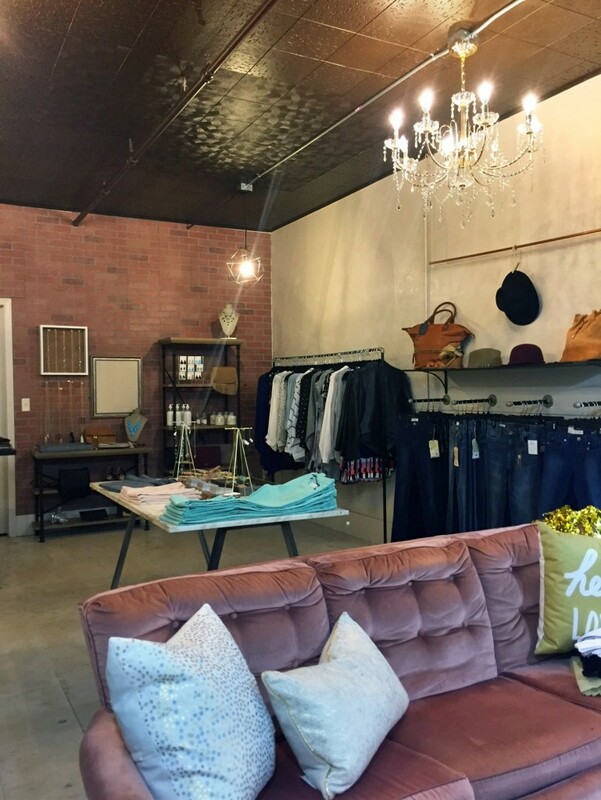 So I’m really excited for Missoula’s newest boutique, Sora & Company. Located at 145 W. Main in downtown Missoula (two doors down from the Mo Club—another great place to grab a burger), Sora officially opens today (Friday, March 4) but I got to attend a preview party last night and you guys, their stuff is cute and affordable. PS: be sure to check them out on instagram. If I’m missing later, it’s because I went back to buy those shoes. 3. Ginger beer on tap at The Dram Shop. Another new(er) addition to Missoula is The Dram Shop at 229 E. Front Street. First off, they have a super fun vibe (and you can order food from Missoula’s nicest restaurant—The Pearl) and a variety of beer and wine on tap. But the thing that this girl loves most is that they have Glacier Ginger Beer ON TAP. 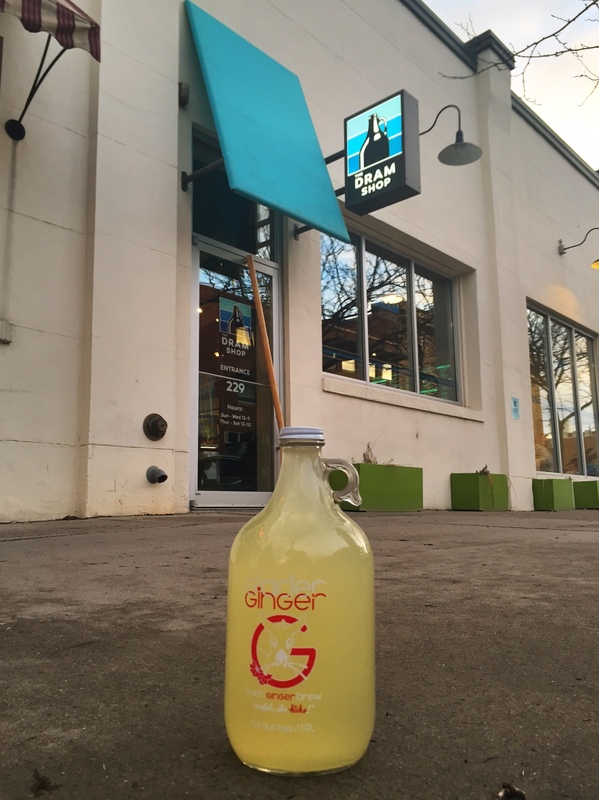 It’s made locally in Whitefish and is literally the best ginger beer in Montana. 4. Missoula Art Museum. 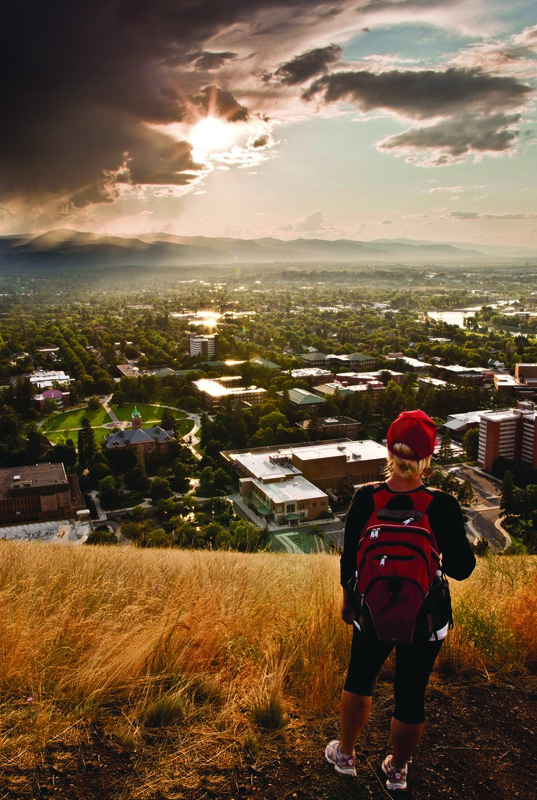 If you have not been here, put it on your list of must-see places to visit in Missoula. 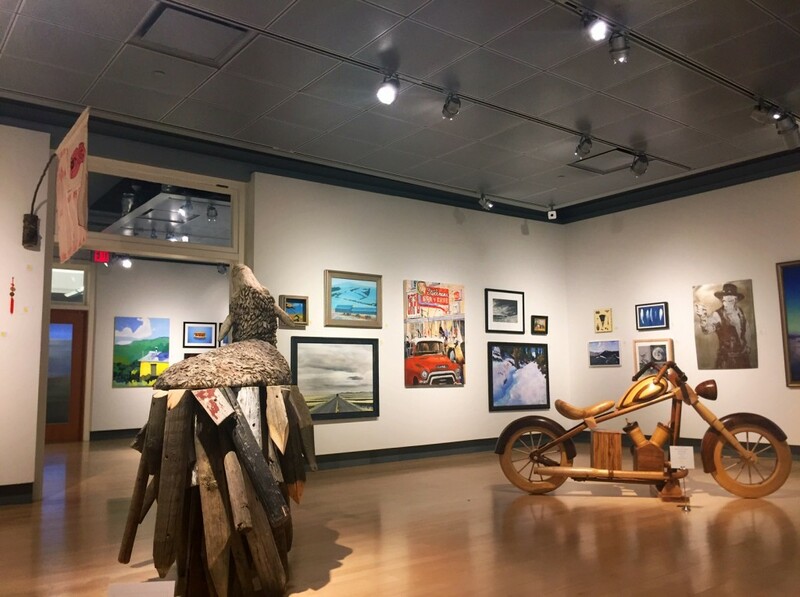 Located one block off Higgins Avenue in downtown at 335 N. Pattee, the Missoula Art Museum has some amazing exhibits and is one of the city’s best-kept secrets. An added bonus: entry is free. 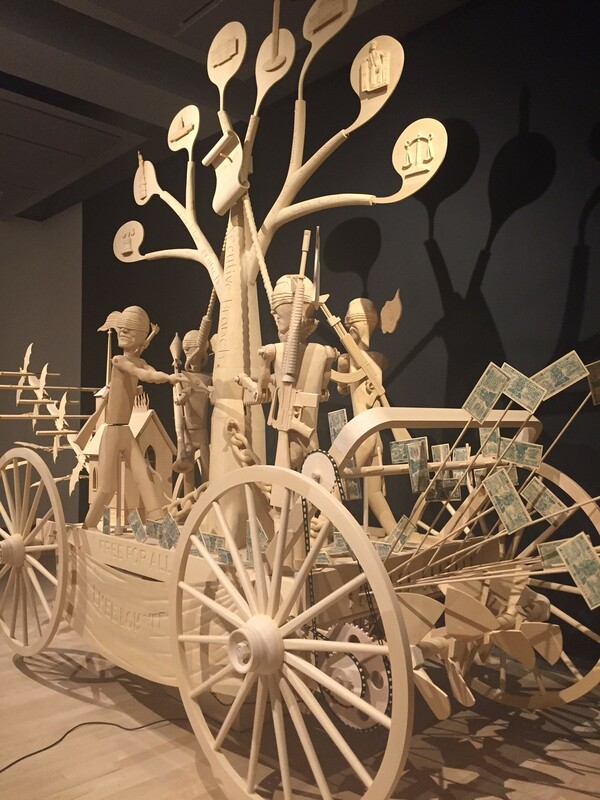 MAM is open Tuesday – Saturday, 10 a.m. – 5 p.m.
John Buck, an artist from Bozeman, has his work on display at the museum through March 12, 2016. 5. Montana sunsets. I’m not sure if it’s the changing of the seasons and longer daylight hours, but the sunsets in Missoula this week have been amazing. They’ve been lighting the sky up with colors that have literally stopped me in my tracks. 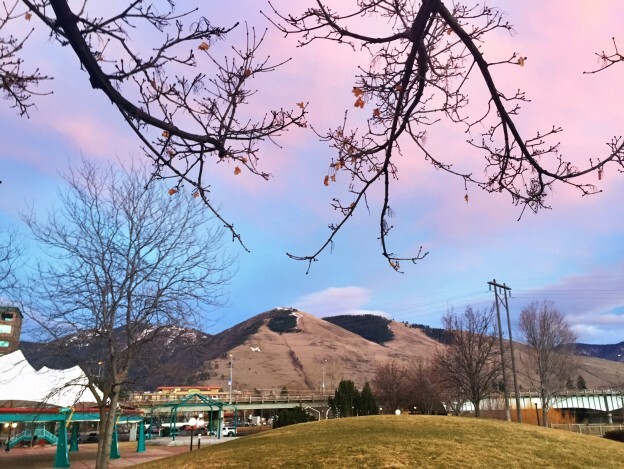 A cotton candy sky over Mount Sentinel. Your turn: what are you loving this week? This entry was posted in Montana Fun and tagged Missoula, Montana, Musings on March 4, 2016 by tiatroy.